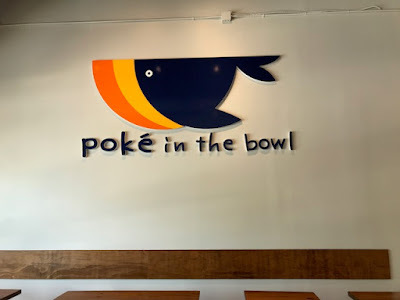 Finally got a chance to check out Poke In the Bowl. Very convenient down on lower Westheimer in a shopping center. Easy parking, that is, if you get thru the constructions on Bagby. 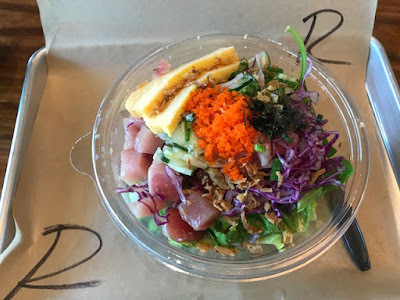 Like the other Poke places around town. They have a step-by-step method. 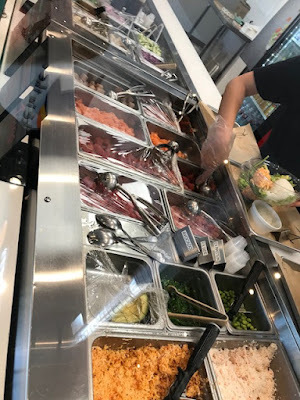 Pick your base rice or salad, choose sides, choose your protein (regular bowl gets 2 scoops and large gets 3 scoops). Mixin's and then sauce. This is a size for regular. So, what did I get? I have: salad base, classic tuna and salmon. 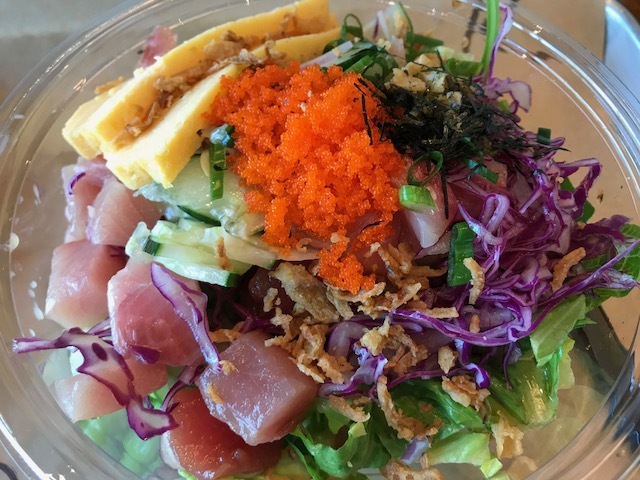 There's cucumber, tobiko, tamago (egg), red cabbage, scallions, fried onion, and house shoyu sauce. This is very casual, no frill way. Seatings are plenty. You just get what you get, grab a seat and it's ready to eat. If they get busy, the wait is not too long. They're very accommodating, so don't be shy if you want something, just ask. Definitely coming back.